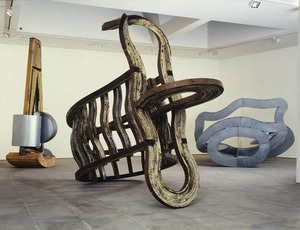 Richard Deacon’s voluptuous abstract forms have placed him at the forefront of British sculpture since the 1980s and, hugely influential, his works are visible in major public commissions around the world. His voracious appetite for material has seen him move between laminated wood, stainless steel, corrugated iron, polycarbonate, marble, clay, vinyl, foam and leather. As he explains: “Changing materials from one work to the next is a way of beginning again each time (and thus of finishing what had gone before)”. 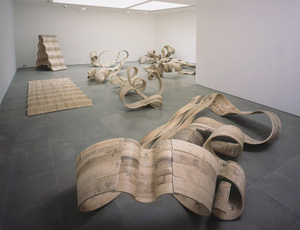 Deacon describes himself as a ‘fabricator’, emphasising the construction behind the finished object – although many of the works are indeed cast, modelled or carved by hand – and accordingly the logic of the fabrication is often exposed: sinuous curved forms might be bound by glue oozing between layers of wood or have screws and rivets protruding from sheets of steel, wearing their hearts on their sleeves. Such transparency highlights the reactive nature of the process: it is part of a two-way conversation between artist and material that transforms the workaday into something metaphorical. 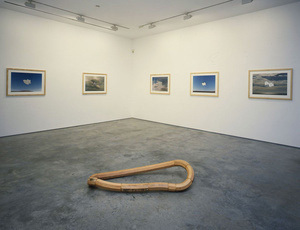 The idea of ‘fabrication’ also denotes making something up, of fiction rather than truth, and this knack for wordplay surfaces in Deacon’s titles, which might establish juxtapositions or wreak new meaning from familiar sayings or clichés – see Let’s not be Stupid (1991), No Stone Unturned (1999), Water Under the Bridge (2008) or Shiver My Timbers (2016). 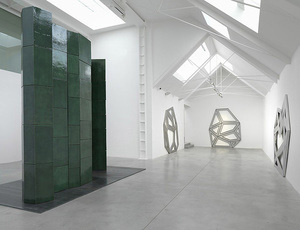 Richard Deacon was born in Bangor, Wales, UK in 1949 and lives and works in London, UK. He has a BA from St Martin’s School of Art, London, UK (1972) and an MA in Environmental Media from the Royal College of Art, London, UK (1977). Solo exhibitions include Middelheim Museum, Antwerp, Belgium (2017); San Diego Museum of Art, San Diego, CA, USA (2017); Prague City Gallery, Prague, Czech Republic (2017); Museum Folkwang, Essen, Germany (2016), Kunstmuseum Winterthur, Switzerland (2015); Tate Britain, London, UK (2014); Sprengel Museum, Hannover, Germany (2011); Musée de la Ville de Strasbourg, France (2010); Portland Art Museum, Oregon, USA (2008); PS1 Contemporary Art Center, New York, USA (2001); MACCSI, Caracas, Venezuela (1996); Whitechapel Art Gallery, London, UK (1989) and Museum of Contemporary Art, Los Angeles, USA (1988). He represented Wales at the Venice Biennale, Italy (2007) and has participated in the Venice Architecture Biennale, Italy (2012), Glasgow International, UK (2006) and documenta 9, Kassel, Germany (1992). 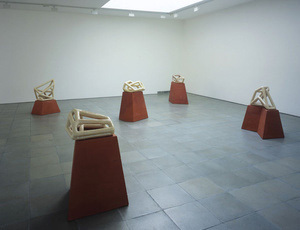 He won the Turner Prize in 1987 and the Robert Jakobsen Prize, Museum Wurth, Kunzelsau, Germany in 1995. He was awarded the Chevalier de l’Ordre des Arts et Lettres by the Ministry of Culture, France in 1996 and made a CBE in 1999. Stainless steel 257 x 329 x 660 cm 101 3/16 x 129 1/2 x 259 13/16 in. Glazed ceramic 65.5 x 73 x 73 cm / Base: 55 x 85 x 85 cm 25 13/16 x 28 3/4 x 28 3/4 in. / Base: 21 5/8 x 33 7/16 x 33 7/16 in. Glazed ceramic 47.5 x 78 x 55 cm / Base: 55 x 85 x 85 cm 18 11/16 x 30 11/16 x 21 5/8 in. / Base: 21 5/8 x 33 7/16 x 33 7/16 in. Glazed ceramic 56 x 66 x 37 cm / Base: 60 x 75 x 75 cm 22 1/16 x 26 x 14 9/16 in. / Base: 23 5/8 x 29 1/2 x 29 1/2 in. Stainless steel 279 x 265 x 5.5 cm 109 13/16 x 104 5/16 x 2 3/16 in. Glazed ceramic and steel 390 x 398 x 206 cm / Base 1.5 x 444 x 257 cm 156 11/16 x 81 1/8 in. / Base: 9/16 x 174 13/16 x 101 3/16 in. Mild steel, bronze strip, formica wood 99 x 205 x 38 cm 39 x 80 11/16 x 14 15/16 in. Wood and stainless steel 121 x 400 x 137 cm 47 5/8 x 157 1/2 x 53 15/16 in. 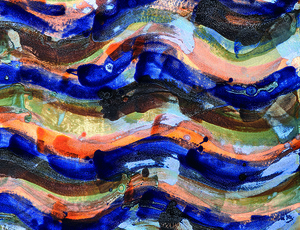 UV print on shaped STPI handmade paper, collaged on screen printed Saunders paper 112 x 142 cm 44 1/16 x 55 15/16 in. 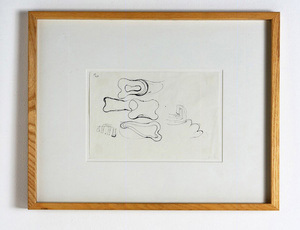 UV print on shaped STPI handmade paper, collaged on screen printed Saunders paper Framed: 114.9 x 154.9 cm Framed: 45 1/4 x 61 in. Steamed beechwood, aluminium & steel bolts 430 x 364 x 357 cm 169 5/16 x 142 1/2 x 140 9/16 in. Glazed ceramic 94 x 109 x 99 cm 37 x 42 15/16 x 39 in. Glazed ceramic 80 x 135 x 114 cm 31 1/2 x 53 1/8 x 44 7/8 in. Glazed ceramic 167 x 133 x 109 cm 65 3/4 x 52 3/8 x 42 15/16 in. 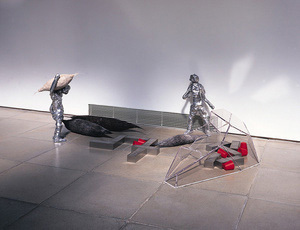 Ash and aluminium 49 x 313 x 213 cm 19 5/16 x 123 1/4 x 83 7/8 in. 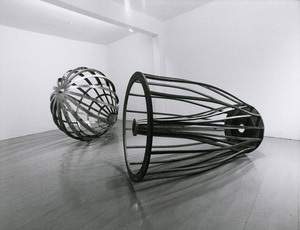 Ash and aluminium 133 x 515 x 194 cm 52 3/8 x 202 3/4 x 76 3/8 in. 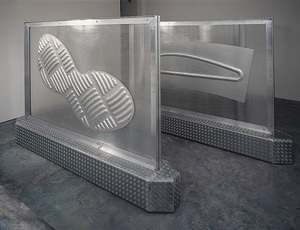 Ash and aluminium 100 x 401 x 163 cm 39 3/8 x 157 7/8 x 64 3/16 in. Glazed ceramic (with steel hook) 67 x 33.5 x 18.5 cm 26 3/8 x 13 3/16 x 7 1/4 in. Steamed ash and stainless steel 158 x 374 x 257 cm 62 3/16 x 147 1/4 x 101 3/16 in. Stainless steel 170 x 137 x 3cm 66 15/16 x 53 15/16 x 1 3/16 in. Stainless steel, brass, linoleum 76 x 76 x 76 cm 29 15/16 x 29 15/16 x 29 15/16 in. 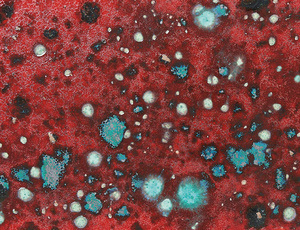 Wood and epoxy resin 40 x 32 x 43 cm 15 3/4 x 12 5/8 x 16 15/16 in. Glass and net 80 x 60 x 35 cm 31 1/2 x 23 5/8 x 13 3/4 in. Stainless steel 170 x 190 x 3cm 66 15/16 x 74 13/16 x 1 3/16 in. Stainless steel 124 x 90 x 2.5 cm 48 13/16 x 35 7/16 x 1 in. Glazed ceramic 19 x 129 x 109 cm 7 1/2 x 50 13/16 x 42 15/16 in. Stainless steel 274 x 276 x 192 cm 107 7/8 x 108 11/16 x 75 9/16 in. Wood, stainless steel and aluminium 169 x 960 x 346 cm 66 9/16 x 377 15/16 x 136 1/4 in. Stainless steel with paint 410 x 340 x 300 cm 161 7/16 x 133 7/8 x 118 1/8 in.